The spirits giant Pernod Ricard is beta-testing a social network for bar tenders and introducing an Absolute-branded website which shows videos on how to make as many as 3,500 cocktails. Those are the moves you'd expect from an industry leader efficiently leveraging the digital marketing space. However, it's their breakout, creative drive to develop the "world's first Internet-enabled t-shirt" that has intrigued many marketers. 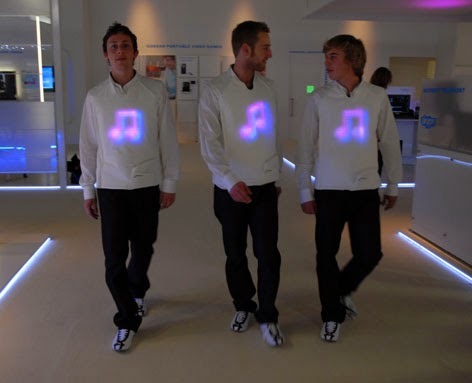 The project, developed in partnership with wearable tech makers Switch, is testing a washable, digital t-shirt in 20 markets in the coming months that lets wearers display personalized and animated messages in real-time. The t-shirt OS 2.0 initiative builds on a campaign the brand ran in 2012, which was billed as the “world’s first Internet-enabled t-shirt”. Interesting move by Pernod Ricard. Imagine converting your customers into brand ambassador "walkers".